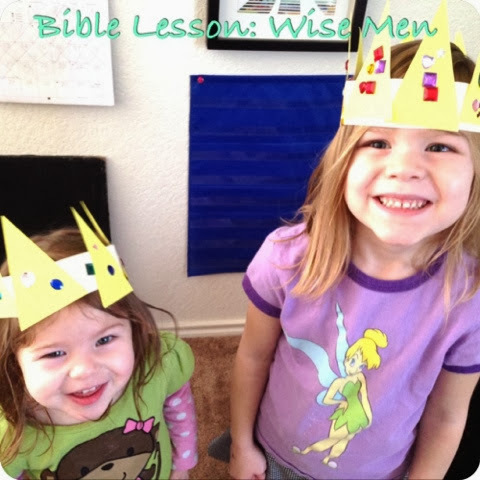 A couple weeks ago our Bible focus for the week was: The Wise Men. I realize that it's a bit delayed from Christmas, but I like to try to wait a bit after Christmas before telling about the wise men because they didn't visit Jesus until he was 2 years old, not in the manger scene like all the books and nativities show. We used my flannelboard set to tell the story of the wise men. We talked about King Herod and how his heart wasn't on the things of God, but how the wise men were willing to leave their comfort and their entire country to travel across deserts and mountains to come and worship him. We talked about their love for Jesus and one way they showed that love was by bringing him gifts: gold, frankincense and myrrh. We talked about how we give gifts to ones we love too. It's a way to show we care. What did God want the most from these wise men? Was God thankful they brought gifts to Jesus? -Yes, but the greatest gift they gave was themselves! And that's what God wants the most. And that's what he wants from us! He wants our hearts about all else. Thanks be unto God, for his unspeakable gift. We discussed how God's greatest 'gift' to us was Baby Jesus, because he sent him with the plan and purpose of saving us from our sins. And how this gift is so amazing and great that we can't even describe it with words adequately, so we call it an 'unspeakable' gift. 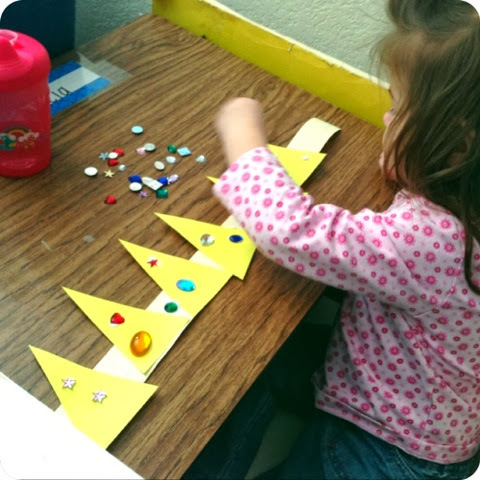 After our lesson this week we make some paper crowns with jewels. The girls had a great time walking around the house imagining what they would bring on their trip with them to see baby Jesus.